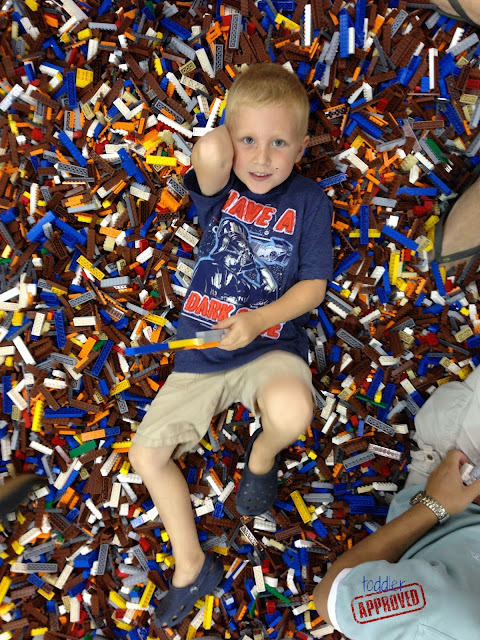 On Saturday my husband and son went to LEGO® KidsFest in San Jose. My two-year-old was a little bit disappointed that she didn't get to go, so we planned our own day filled with exploring and playing with LEGO® bricks. 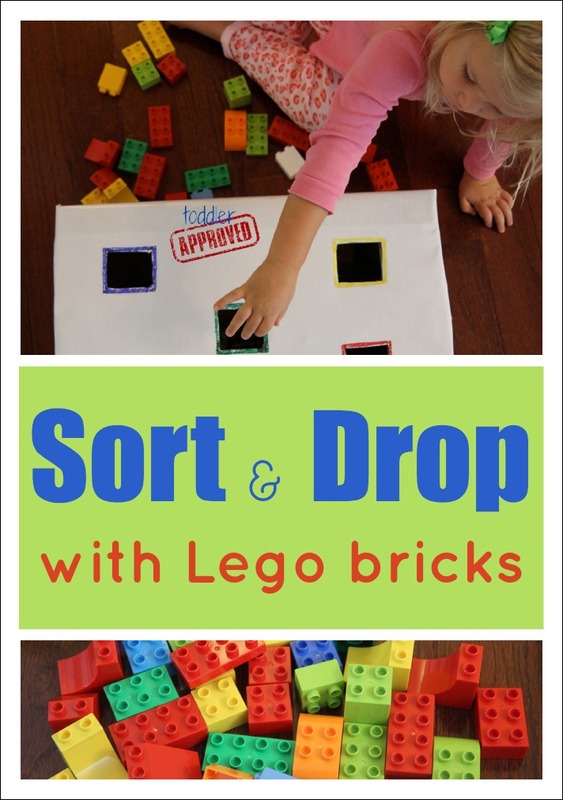 Today I am going to share a simple Sort & Drop Color Activity that we tried using our LEGO® bricks. Supplies Needed: Easel paper, packing tape, box, knife, scotch tape, colored sharpies, and LEGO® bricks. 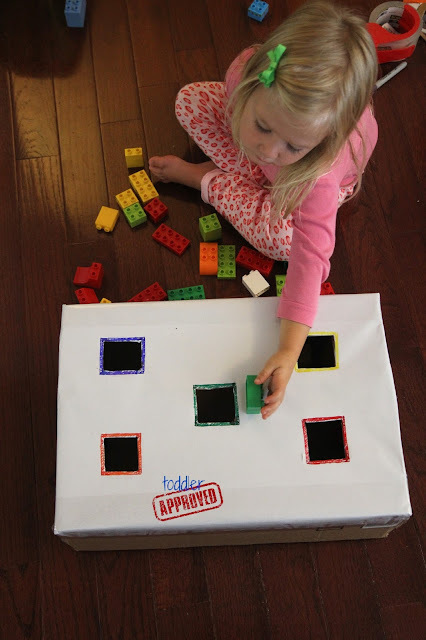 To create this activity I covered an Amazon box top with easel paper and taped the paper in place. Then I cut five squares into the top of the box and taped the edges around squares so that they wouldn't rip. Lastly, I outlined each square with a different color! 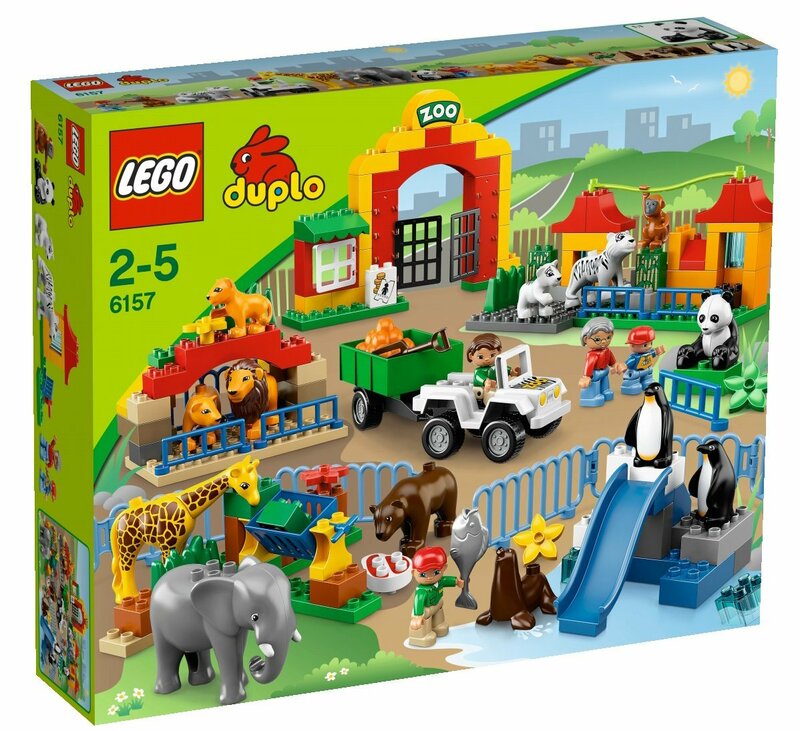 Once our Sort & Drop box was ready to go, we hunted around the house for all of the DUPLO® LEGO® bricks we could find. Although we have both small and large bricks, my 2-year-old prefers the DUPLO® since they are easier for her to manipulate. Dropping the LEGO® bricks into the colored squares was fun and while we sorted and dropped the bricks, we also talked about the shapes and sizes of each one. Some were bigger than others so we had to turn them or twist them so that they could fit in the right hole. Opening up the bottom of the box and letting all of the bricks we collected dump out onto the floor was also entertaining... and then we got to play again! This sort and color drop is a fabulous semi-independent activity for toddlers. 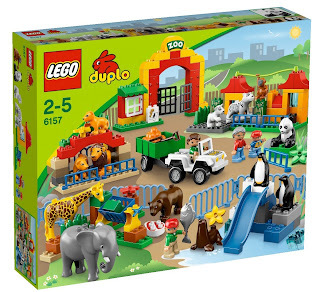 My 2-year-old is obsessed with the Lego Duplo Big Zoo . She only has part of the set so far... but she'd love the whole thing! 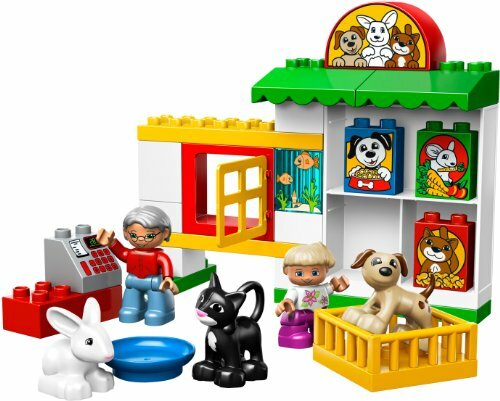 She is also wishing for the LEGO DUPLO® LEGOVille Pet Shop set because she LOVES animals!! She was so excited that we got to spend the day playing with Legos together and then her dad and brother showed up with the LEGO Duplo Ville Baby Zoo as a special surprise! She has been carrying the animals around all weekend. 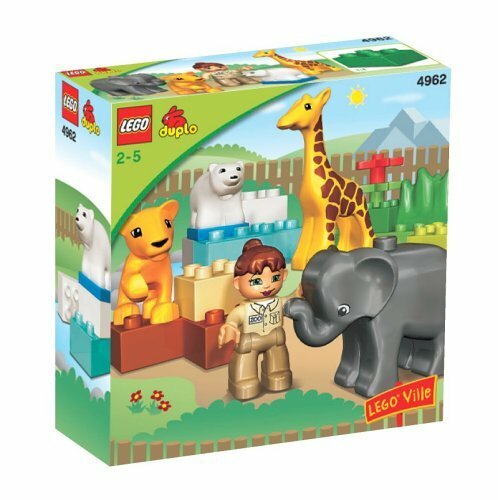 Does anyone else have a child that is obsessed with Legos AND animals? Also, don't forget to enter our Away We Go! A Shape and Seek Book Giveaway! Btw, have you seen this video yet? It makes me tear up a bit... and get goose bumps! Can't wait for the show to premiere. Disclosure: Our Away We Go! giveaway is sponsored by Chieu Anh Urban and I am also participating in Participant Media's campaign to promote the documentary TEACH airing on CBS on September 6th at 8:00 pm ET/PT. 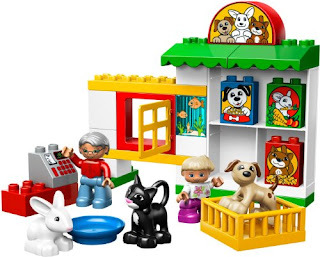 Note: LEGO® is a trademark of the LEGO Group of companies which does not sponsor, authorize or endorse this site.